BMO Inventory System Malaysia is a comprehensive web based inventory system. All functions provided to you is for your convenience. In this case, your company employees can export inventory items from BMO’s system to their local computer. With BMO Inventory System, this task can be completed easily. 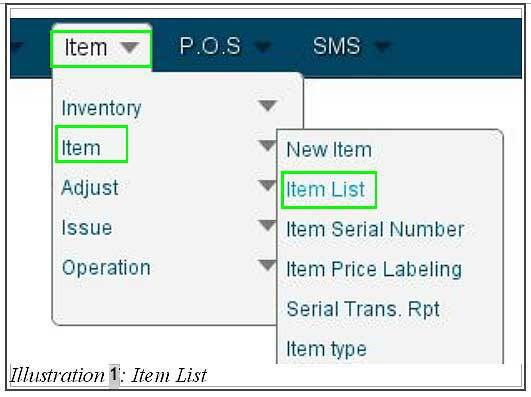 In this tutorial, we will guide you on how to export a list of item from your BMO Online Inventory System. 1. Go to Item > Item > Item List . 2. Click on Export item button as highlighted in the illustration below to export a list of items from your system. 3. After the item is exported, you could see a CSV file downloaded from the BMO system to your local computer. 4. You are now able to open the CSV file and see a list of items from your system. Select “Delimiters” and choose “Tab” and “Comma” (if any) .